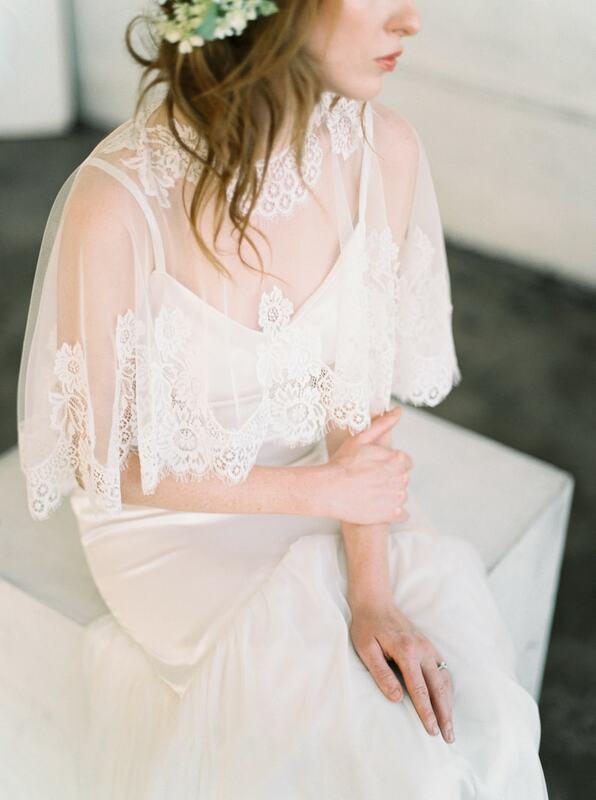 Beautiful Lace edged cape in Off White or Ivory Color (pictured). This capelet was gorgeous and complimented my dress so well! I honestly got so so many compliments on my dress that day and I was just in love with it! It was delicate but rested perfectly, didn’t get pushed out of place and didn’t irritate my skin or anything. 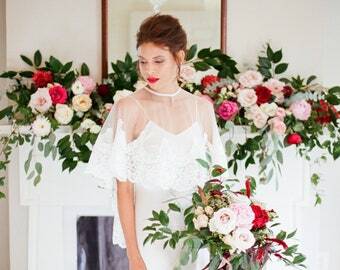 I am so happy I had this for my wedding day, and the shop owner was super responsive and helpful when I had questions. 10/10 would recommend this item & shop to all future brides out there! Absolutely perfect, came just in time and matched my dress beautifully.